There have been many attempted attacks on Americans’ freedom online, going back as far as SOPA, the Stop Online Piracy Act, and they have all received an immense amount of backlash from the public, resulting in none of these bills being passed. In 2015 Net Neutrality seemed to have been cemented for Americans when the internet was reclassified as a tool closer to a public utility, of which every American has a right to. Since then it has looked as though we, as Americans, had won the battle for our freedom online. But all of that changed last month. Ajit Pai’s new plan would remove the restrictions on how broadband companies can handle web traffic, as well as put the FTC in charge of policing web providers. Essentially, if Ajit Pai’s plan goes through, companies will be able to control what sites you access. In theory, a company could pay off web providers to blackball competing companies’ websites. It would be possible to reduce the exposure people have to candidates running for office by blacklisting their websites, or the websites of important events occurring throughout the country by reducing access to news organizations’ sites, to push whatever narrative those in power deem appropriate. Obviously, these are worst case scenario ideas, but the point still stands. This repeal also opens the doors to service providers charging users for access to certain websites, or categories of websites. Want to access your favorite social media sites? That could mean paying an extra $10 on your bill each month. Video steaming sites like Netflix? Bandwidth is expensive, that’ll be an extra $20. Internet access providers could also extort the companies that provide these online services. For example, Comcast could charge Netflix fees to provide customers access to their website. Broadband providers have, of course, promised not to abuse the power the Net Neutrality repeal would grant them: “AT&T intends to operate its network the same way AT&T operates its network today: in an open and transparent manner. We will not block websites, we will not throttle or degrade internet traffic based on content, and we will not unfairly discriminate in our treatment of internet traffic,” Bob Quinn, AT&T’s head of regulatory affairs, wrote in a blog post this week. Ajit Pai has received threatening voicemails in the backlash resulting from his plan. People have threatened that they know his family, listing them by name, and an image depicting his children walking home from school has circulated on Twitter. Pai has latched on to these extreme cases as a defense for his plan, stating that people opposed to it are insane, deranged, fringe activists. Although there is obvious public disapproval of the Net Neutrality repeal, congress appears unfazed. Sen Susan Collins is the only Republican lawmaker in opposition to the repeal. Congressional Democrats are forming an effort to persuade the FCC to cancel the repeal vote by circulating a letter and collecting signatures urging Pai not to hold the vote. Since the Republicans hold a majority in Congress, the measure will likely pass if it is brought to vote. The internet has been aflame recently, with many sites coming out in opposition to the repeal. Virtually every post on Reddit’s front page was related to the repeal following Ajit Pai’s announcement, with other heavy-hitters like Netflix, Twitter, and Amazon coming out in opposition of the repeal. Only time will tell what the true ramifications of America losing Net Neutrality are, or whether or not it is even repealed at all. OurWrites.org as an organization is certainly opposed to the repeal. It is not that far-fetched to think that without Net Neutrality, sites like ours could face suppression if they attracted the wrong kind of attention from people or organizations that benefit from a relationship with telecom companies. Here at OurWrites.org we are attempting to ensure that you, as voters have a voice and that your voice is heard by law makers. The loss of Net Neutrality could mean the stifling of your voice, or an inability to find information important to the way you vote. If you’re getting flashbacks to 1984, you’re not being paranoid. Don’t be fooled, these telecom companies are not struggling financially, not even close. Repealing Net Neutrality doesn’t benefit the consumer in any way, in fact, it’s quite the opposite. It will only ensure that telecom companies and the powerful people and companies that do business with them have more control over the flow of information online, allowing them to charge more for the information that they do let flow. You might be asking what you can do to try and prevent the loss of Net Neutrality. At at this point it is important to contact your senators and express your opinion. That might be a fruitless effort, though, here in UT, though, as both Hatch and Lee have been quite clear about their support of the repeal. They sold Utahns, and this nation to the telecom lobby for the prices of $106,750 and $60,913, respectively, information pulled from public donor databases. It’s not too late to have your voice heard. Make your friends and family aware of what’s unfolding online, urge them to reach out to their representatives. Alert the people you care about that their freedom is under fire, though the enemy isn’t foreign in this case, it is the telecom companies and the law makers they have paid off. Trump visited Utah on Monday to announce a reduction of both the Bears Ears and the Grand-Staircase Escalante National Monuments. Bears Ears National Monument will be sliced from nearly 1.35 million acres into an 86,447-acre Indian Creek unit and a 142,337-acre Shash Jaa unit. Grand Staircase-Escalante will be cut back from nearly 1.9 million acres to three units — the 211,983-acre Grand Staircase, the 551,117-acre Kaiparowits and the 243,241-acre Escalante Canyons. These are the largest reductions in protected land in the history of The United States. Trump argued that the monuments have led to “harmful and unnecessary restrictions” and that they were a result of Federal overreach, negatively impacting the local economy, hunting, and ranching. 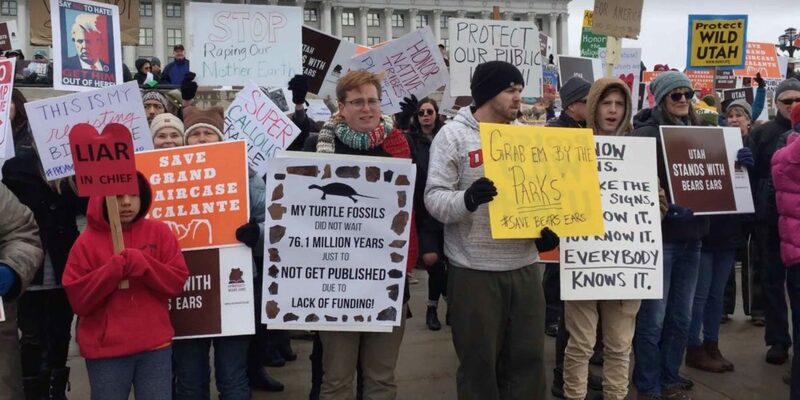 It didn’t take long for conservation groups to react, multiple lawsuits were filed just hours after the President’s announcement. The conservation groups, led by San Francisco-based Earthjustice — including the Southern Utah Wilderness Alliance and the Sierra Club, were apparently well aware of this announcement ahead of time due to various leaks from government officials in the White House. They’re of the opinion that the President lacks the authority to perform these actions under the Antiquities Act. Trump was accompanied by senators Orrin Hatch and Mike Lee. Both are apparently very happy with the President’s decision, based on various posts the Senators have made on their public Facebook profiles. Mike Lee has posted videos lampooning the Antiquities Act, pointing to it as an abuse of power. The Act was intended to allow the President to set aside certain valuable public natural areas as park and conservation land. It also allows the President to reserve or accept private lands for that purpose. The aim is to protect all historic and prehistoric sites on United States federal lands and to prohibit excavation or destruction of these antiquities. With this act, this can be done much more quickly than going through the Congressional process of creating a National Park. Trump also toured the LDS churche’s Welfare Square and sat down with top church leaders in a meeting arranged by Senator Hatch. Trump reportedly praised the Church’s efforts in helping the needy around the world. Although Trump was met with many supportive citizens at his speech, there were various protests throughout the valley, particularly in front of the Capitol, where thousands of protestors gathered and yelled at the President as he drove by along his motorcade route. There was also a confrontation between protestors and police in riot gear near 100 South and State street. There will surely be more lawsuits in the coming weeks, and Trump has said new legislation will need to be passed to prevent the reduction being reversed by presidential candidates in the future. The recent October 1st shootings in Vegas on a crowd of concert goers were performed with the assistance of a bump-fire stock. 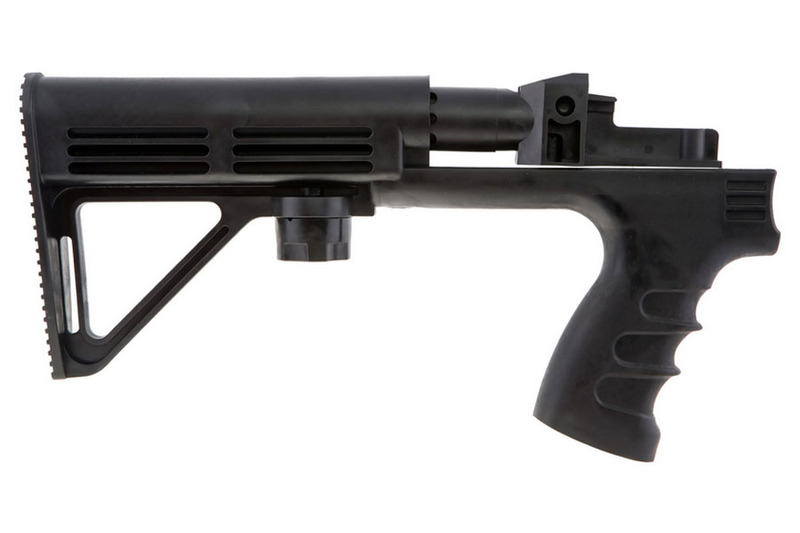 This stock allows the rifle to travel freely along the rod of the stock as it recoils, and in its return action the trigger is depressed again, causing it to fire and repeat the cycle, essentially turning a semi-auto rifle into an automatic weapon. It didn’t take long for bills to be proposed to Congress banning this type of stock, as its existence is obviously to subvert the automatic weapons ban. It seems obvious that this should be something that is banned, especially in light of it being used to take so many lives in Vegas. The NRA has mounted an opposition to the bills in congress banning the stocks, arguing instead for more strict regulations on the stocks. What these regulations would entail is still to be determined. This would certainly lead to some interesting regulations, as it would essentially be allowing modifications to a rifle that enable automatic fire, while still having automatic weapons be illegal in general. The creative wording necessary for the changes proposed by the ATF and NRA are yet to be seen.